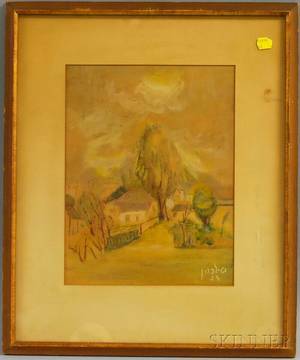 Malva Severios, Scenic View of a Village. 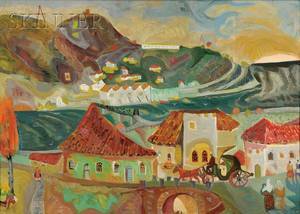 Malva Severios (Beirut 1948- ). 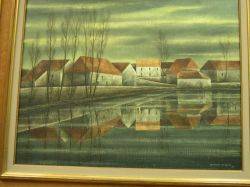 Oil on canvas painting of a scenic village. 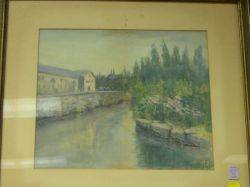 Signed and dated lower right "MALVA 1986". Framed 33 inches x 45 inches. 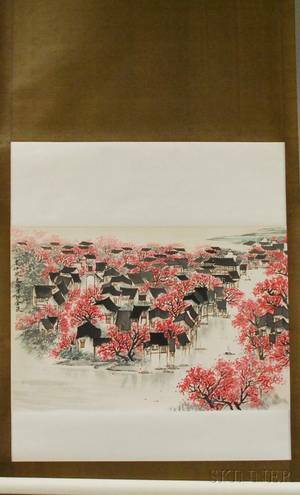 Unframed 24 inches x 36 inches. 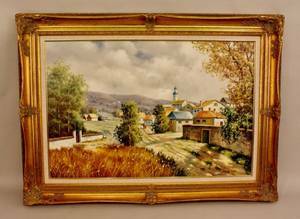 Archived auctions similar to Malva Severios, Scenic View of a Village. 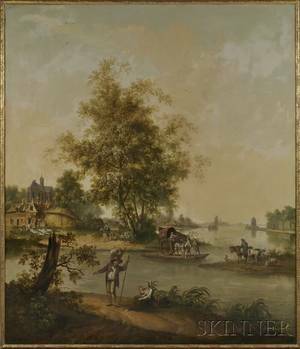 American School 19th Century Scenic View of a Country House and Gardens. 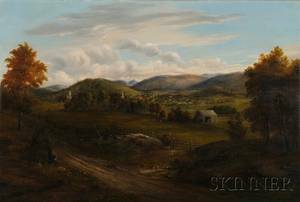 American School 19th Century New Hampshire Landscape with View of a Village and Mountains. 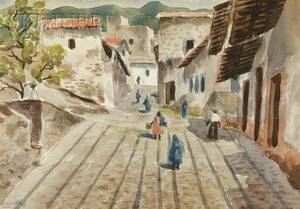 Israeli School 20th Century View of a Village. 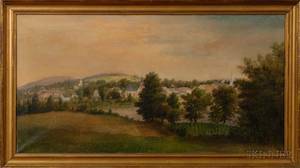 Seth W. Steward (American 1844-1927) Panoramic Hillside View of a Village. Albanian School 20th Century Bird's-eye View of a Village.